As President Mohamed Morsi sets to meet with the new cabinet on Thursday, names of ministers are trickling out to the media. New Prime Minister Hisham Qandil on Tuesday met president Morsi who reviewed the final list of names chosen by the PM to form the new cabinet. Three members of the President's Freedom and Justice Party have been named as ministers. 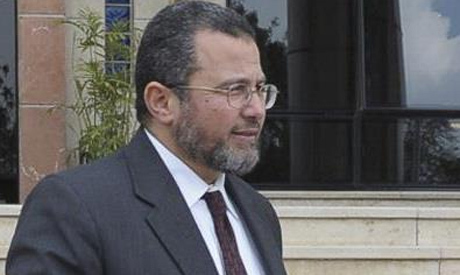 Mostafa Mosaad will be the high education minister, is an engineering professor, who was responsible for the educational policy of Morsi's presidential campaign. Engineer Tarek Wafiq head of the housing committee within the Freedom and Justice party has been appointed housing minister. Meanwhile, the ministry of communication will be headed by engineer Hani Mahmoud former head of the Information Centre of the cabinet, while Bahaa El-Din will head the water resources and irrigation ministry of which he previously served as deputy. The ministry of tourism is to be headed by Hisham Zaezou, who has served in this capacity before, although not in the previous government of Kamal El-Ganzouri. Al least six ministers of Ganzouri's Cabinet will retain their seats: Foreign Minister Mohammed Kamel Amr and Finance Minister Mumtaz al-Saeed, Nadia Zakhary minister of scientific research, Nagwa Khalil minister of insurance and social affairs, and Mohamed Ibrahim as minister of antiquities. Head of the Supreme Council of Armed Forces (SCAF) Hussein Tantawi is also to keep his post of minister of defence in the new cabinet. He has served as defence minister since 1991, under seven different governments. Qandil met with potential members of the new cabinet on Wednesday morning, including General Ahmed Zaki Abdeen nominated for minister of local development, Abdel-Qawi Khalifa nominated for the new ministry of drinking water and sewage. Also meeting with the PM were Osama Saleh head of the General Authority for Investments to head the ministry of investment, and Mahmoud Balbaa' head of the Holding Company to head the ministry of electricity and energy. The ministry of petroleum is to be headed by Osama Kamal, former chairman of the Holding Company for Petrochemicals. President of Al-Azhar University Osama El-Abd has been chosen to head the ministry of religious endowments – Awqaf. This contradicts an earlier announcement by Salafi preacher Mohamed Yosri Ibrahim claiming that he had accepted the post. Former football player Alaa Abdel-Sadek has been appointed to head the newly-formed ministry of sports. The new minister of interior will be General Ahmed Gamal El-Din, assistant of former minister of interior and director of the public security authority. Meanwhile, Mohamed Rashad, an engineering professor at Cairo University, has been appointed minister of transport. Abou-Zeid Mohamed Abou-Zeid, vice president of a food industries holding company, will be appointed as minister of supply and social affairs replacing the leftist economics professor Gouda Abdel Khalek who declined working in the new government. Salah Abdel-Moamen, head of the Agricultural Research Centre has been appointed as minister of agriculture and land cultivation. Osama Yassin, member of FJP executive office, has been nominated to be the Minister of Youth; Mahmoud Reda to the Ministry of Electricity; Khaled Abdul Aziz is nominated the Ministry of Environment. The new cabinet members will take the oath before President Mohamed Morsi on Thursday. Really I am happy as well as most of the egyptians , that finally the new cabinet has been formed. It doesnot matter who is on the cabinet, what really maters is what , how and definetly when will they start. Shortage...., Of what....., Of everything...., is what symbolises our beloved country . We have a lot of urgent problems but we also have A SHORTAGE OF LE 135 000 000 000 IN THE NEW BALANCE. Accordingly, what anybody can do to face any of Egypt's problems. Ceiling of expectations should be very moderate. We dream that things do not get worse than happening now. Electricity for example was cut today at Maadi Area 4 times ( A total of 6 hours ). In such a horrible weather- it is really a tragedy and a disaster. We hope only from the new government to solve one problem which is electricity. We can bear anything but not the cut of power. Have you ever met a very nice people like us " Egyptians "- do not solve the garbage, do not solve the fuel, do not solve the bread, do not solve the traffic, but please please do not cut power- we are about to explode from inside.